← kwartzlab rocks Hacky Halloween! 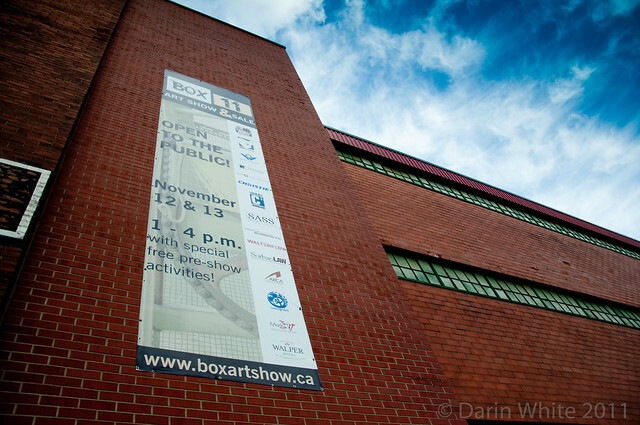 Earlier in October, the big banner for the BOX11 Art Show & Sale was installed on the Rumpel Felt building, fronting on to Victoria Street. It looks awesome! Less than 2 weeks to go now. Nov 12/13. This entry was posted in art, BOX11 and tagged BOXart. Bookmark the permalink.